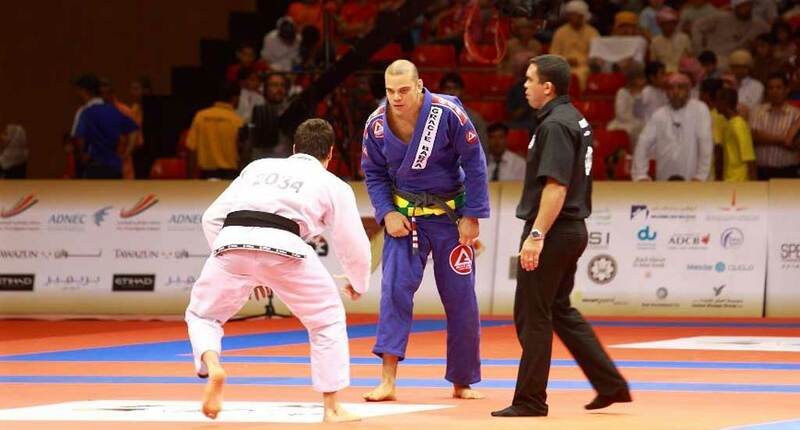 Often regarded as the Lance Armstrong of Brazilian Jiu Jitsu, Lucio Rodrigues also known as “Lagarto”, is a decorated Brazilian Jiu Jitsu black belt under Carlos Gracie Junior from Gracie Barra who has victoriously battled with cancer, returning to BJJ after his recovery to conquer some of the most important titles in his career, such as the European Open and the World Pro Cup finals in Abu Dhabi. Nickname: Lucio’s nickname is “Lagarto” which means Lizard in Portuguese. The nickname was given by Marcio Feitosa at Gracie Barra because he used to joke saying that Lucio resembled a reptile. Lucio Rodrigues “Lagarto” was born on the 26th of October, 1980 in Rio de Janeiro – Brazil. He started practicing martial arts with his father, learning Karate while also boxing a little when he was still a child. 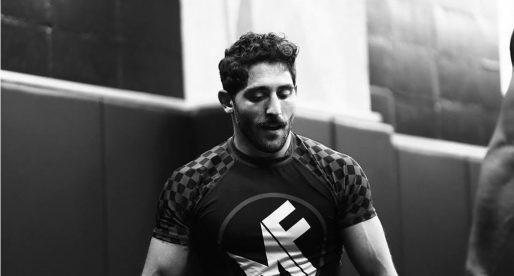 He started getting interested in Jiu Jitsu as most of his friends practiced the sport, he started taking classes when he was 13 years old with instructor Carlos Augusto (who is a black belt under Reyson Gracie). Lagarto was a natural in BJJ, and while most of his friends stopped training, Lucio continued and reaped the benefits of hard training, pursuing a career as a competitor. He worked his technique alongside Carlos Augusto until he received his blue belt. He then switched camps to the Gracie academy in Barra da Tijuca, where he trained alongside the son of the founder of Gracie Jiu Jitsu, Mr Carlos Gracie Junior, the man who awarded all his belts from there on, including his black belt which came in 2004. Rodrigues worked most of his life in Jiu Jitsu as both a competitor and a coach. He started his international coaching career by way of Portugal, after his master Carlos asked him to go to the southern European country and help develop the sport there. He worked there for a duration of time, but then returned to Brazil where he premiered in MMA with a submission victory over Roberto Albuquerque by armbar. In October 2007 Lucio Rodrigues found out he was suffering from cancer in his lymphatic system, also known as Hodgkin’s disease. Lucio had to undergo the gruelling treatment of chemotherapy. Due to the athlete’s lifestyle that Lagarto had all his life, healthy eating, not drinking and resting well, he resisted incredibly well to the treatment, and in fact, after the first month of therapy (were he was forbidden to train by his doctor) Lucio returned to the gym and started training. As the Chemo and after that radiotherapy continued, Lagarto trained and even competed! Winning an important competition (Capital Challenge). After his battle with cancer, Lucio Rodrigues decided to have another shot at an international coaching career. As he gave a seminar in the United Kingdom, Lucio was invited to stay and coach the London full time. He accepted the challenge, and became one of the main instructors of Gracie Barra in the country, alongside illustrious coaches Braulio Estima and Roger Gracie. In 2011, after an incredible competitive run where Lucio won the European Open, the World Pro Cup Trials (weight and absolute) and the World Pro Cup finals, many saw Rodrigues as one of the favourites to win the Worlds (World Jiu Jitsu Championships). Unfortunately Lagarto was denied a visa to enter the country and could not compete, a problem that has plagued many top competitors from Brazil throughout the years. lagarto is an insparation to everyone who trains with him.5 minutes with this guy and you belive you can be a world champion.his passion for his studants and jiu jitsu is unmatched. Lagarto is a true champion… on and off the Tatami. Lagarto is my friend ams my master. He is a great person and teacher with whom I've learned a lot. Every single day he shows us the true meaning of Preserverance. Well, actually the Lagarto biography is incorrect, for example, his achievements, he has a lot more medals in championships…European world, Brazilian, state…etc. Lagarto neglects bullying and theft. Lagarto is not a good example for a leader. 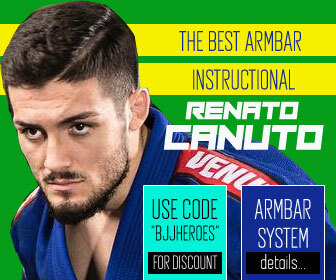 Leaders ensure BJJ is for all and that the disabled are included. Lagarto ignores his responsibility! Readers, please ignore Dan Livingstone, he is a notorious figure in the UK for having a problem with everyone. Lagarto does not ignore his responsibility, he is a fantastic coach, ambassador, competitor, role model and friend to many in this sport. 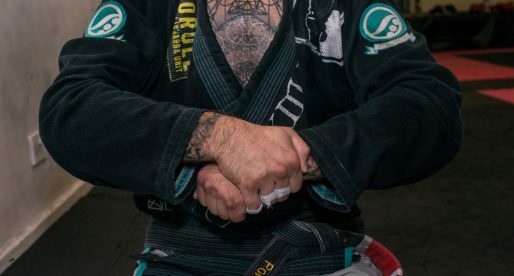 Dan Livingstone you have a problem with just about everybody in Jiu-Jitsu and it originates with Lagarto, you threw your white belt at him and stormed out because you weren't promoted when you thought you should have been. Since then, you have been on a one man mission to attack everybody in Jiu-Jitsu, under the pretence that Jiu-Jitsu does not care about you and your autism, whilst simultaneously trying to find a place to finally get the recognition you feel you deserve. Which coach is going to take you on with that attitude? None, because you attack everybody so publicly, including some of the hardest working and nicest people in this sport. People who have dedicated their life to spreading the positivism of this wonderful art. You are publicly trying to besmirch this man's image, and he quite rightly (and easily) could build an entire dossier of evidence against you and press charges for both libel and besmirchment. It would be hard to continue harassing people in Jiu-Jitsu from a prison cell. You entered a sport and you tried to call the shots about your own progress over the knowledge of a fantastic competitor, coach and ambassador of Jiu-Jitsu. 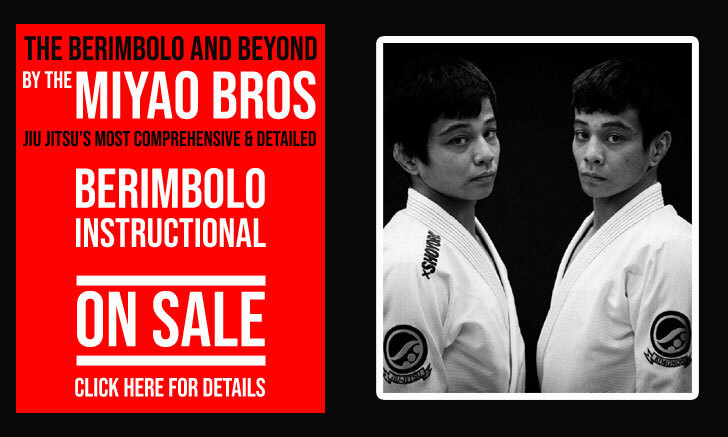 You also have an issue with common saying 'Jiu-Jitsu for everyone' – Jiu-Jitsu is indeed for everyone, but not everyone is for Jiu-Jitsu. You should take heed of this. There are plenty of disabled competitors and practitioners in this sport and those people will continue to be welcomed. Lagarto himself has students who struggle with disabilities, as do his students. You are shunted, not because of your disability, but because of your blind rage and attitude towards this sport and everyone in it. If you truly want to be a part of Jiu-Jitsu, keep your mouth shut, train and show respect, like the rest of us. The truth is, you're on a self-driven war path to try and change something that does not need to be changed in anybody's head but your own. 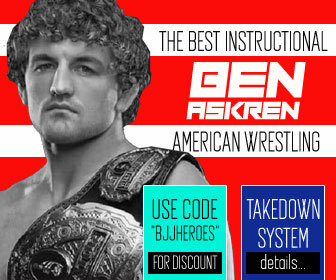 You are a bitter man who did not get promoted when he thought he should, grow up, stop blaming Jiu-Jitsu and perhaps look at yourself. Yes, you may be on the autism spectrum, but perhaps think of why an entire community is shunning you and why you are on your own on this one. Just because you feel strongly about something doesn't mean your feelings are right. 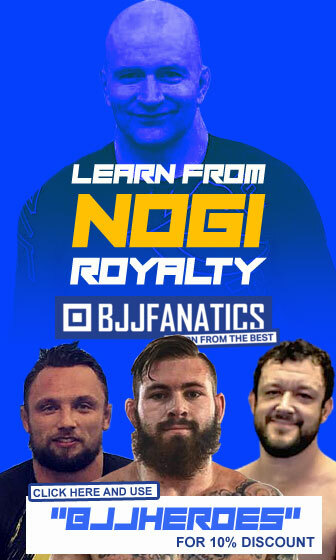 Stop emailing everyone in Jiu-Jitsu, stop sending threatening messages to everyone in UK BJJ, reaching out to Carlos Jnr, Victor, Lagarto and everyone in between is not going to work, you are only alienating yourself because the sport and its ambassadors have done nothing wrong, it's you who has. Please ignore Dan Livingstone's comments, people. Lagarto is a wonderful role model and will continue to be.